So with that being said... please join us at ATS with our current challenge "FANCY FOLDS"! 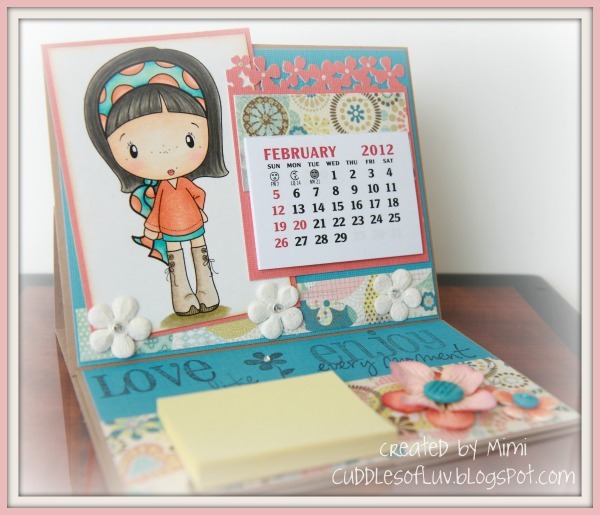 I've made this easel card into a desktop calender and post-it note holder. Scarf Honey is an adorable digi image from C.C. 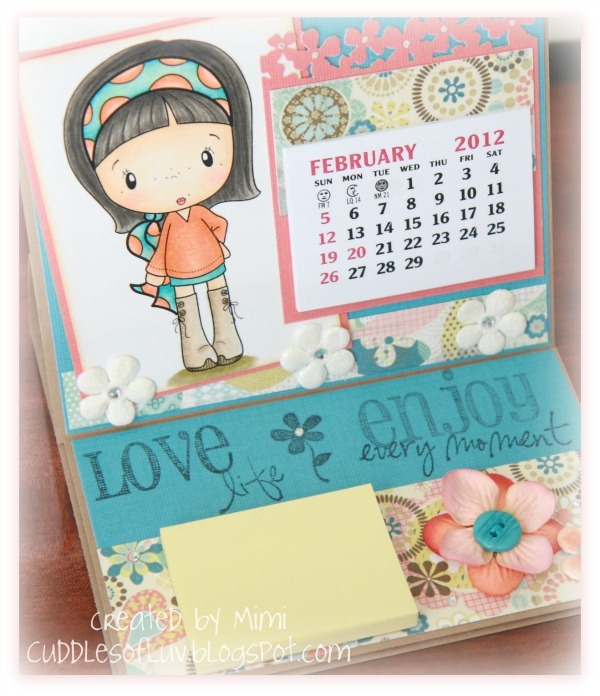 Designs, and sentiments are the Amy R. Stamps Big Words and Handy Additions - both are available at the ATS Store. If you're crafting this weekend, think about trying some Fancy Folds! There's still plenty of time to enter... you have until Feb 28th, and the prize for this challenge is 5 C.C. Designs digi stamps of the winners choice! Click HERE and HERE to see the DT gorgeous eye candy! Hope to see you link up soon! Others - Momento Ink, Colorbox Chalk Cat's Eye, MS flower punch, Recollections gems & flowers, calender (RAK from Cyndi), buttons (BG colored buttons), embroidery floss, 1.5x2 post-it pad. What at cute idea! I love it! Hi Mimi! Oh how adorable this easel desktop calendar/note holder is! Great idea and something pretty to look at every day! 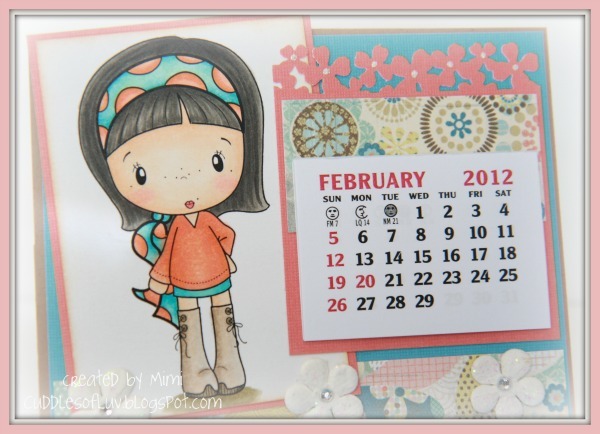 Thanks for joining us at SimonSaysStamp this week. Super cute project! She's adorable! Congrats on being on the team! Great calendar. Thanks for joining us at Papertake weekly. Aw-dorable! Love her! Love ur card/project! Sorry to hear about the digi team, but so happy they kept you on for the challenge team! Yay!